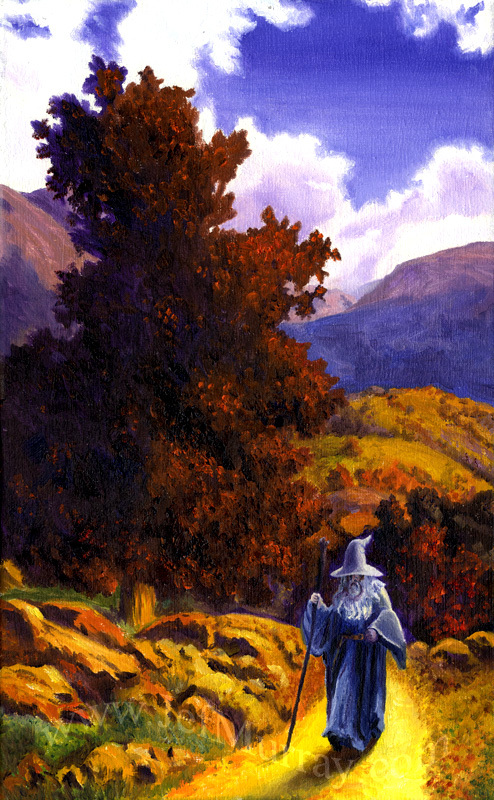 Artist Commentary: I spent Saturday with Mithrandir walking the foothills of the Misty Mountains. 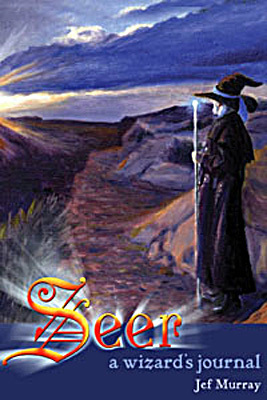 The light was golden and it glowed on glade and glen, field and forest. We stopped to rest along the roadside and watched the sky turn from cerulean to violet as evening set in.